For better or worse, policymakers, politicians and health leaders in the United States are committed to achieving paperless healthcare environment. Even if there is lack of high quality research and reasonable skepticism over the ultimate cost and quality merits of “e”care, there is no going back. As a result, visitors to ehospitals and eclinics are increasingly surrounded by monitors that, in turn, are surrounded by providers. To gain their attention, patients need to have internet access to make appointments, update medications, obtain education and communicate with their doctor. And what if they don’t have that access? For the last decade, that worry has been characterized as “the healthcare digital divide. ” As recently as 2014, it’s been documented that the lack of computer hardware and access can have important healthcare implications for persons with low socioeconomic status. For the doctors and nurses staring at screens all day, the millions of Americans who are living paycheck to paycheck risk being out sight and out of mind. But it turns out that that it doesn’t need to be that way. Check out this telling report from the Federal Deposit Insurance Corporation on the “unbanked” and “underbanked.” Not having a bank account (unbanked) or using any financial services (underbanked) are linked to persons with low income, being of color, disability and being unemployed. In other words, these are the very persons at risk of being on the losing end of the health care digital divide. “Notably smaller, but still significant, proportions of unbanked households had access to mobile phones (68.1%) and smartphones (33.1%)” (bolding PHB). In other words, persons of low socioeconomic status are more likely to have smart phones vs. the “banked” population. They may not have a checking account, but, compared to other segments of the population, they are also more able to use these devices to access and manage their “e”care. 1. Not explicitly fostering handhelds as a part of the healthcare informatics “ecosystem” may be shutting out persons of low socioeconomic status from the health system. While the Washington DC’s “meaningful use” (MU) criteria are not explicitly tilted toward desktop/tower computing, they seem to conspicuously silent on advocating for ease of smartphone use, for example, to manage appointments, medications, education and messaging. Compare MU that with Google’s mobilegeddon and the unwillingness of innovative systems (like this and this) to wait for CMS to catch up. They’re loaning handhelds to patients. What do you know: if you want to increase access to healthcare for the economically disenfranchised, there truly is an app for that. It was there all along. 2. Yet, smartphones for the economically vulnerable and access to health information technology are not necessarily a slamdunk. This report reminds us that smartphone contracts are vulnerable to non-payment and that it’s not unusual for service to be turned off. Health systems that can navigate that reality will win. 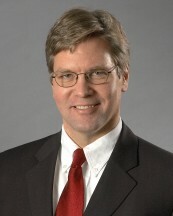 Jaan Sidorov is Chief Medical Officer at MedSolis.